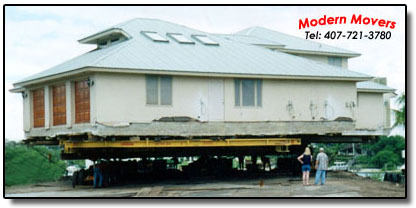 This home was in the way of new construction on Jupiter Island. 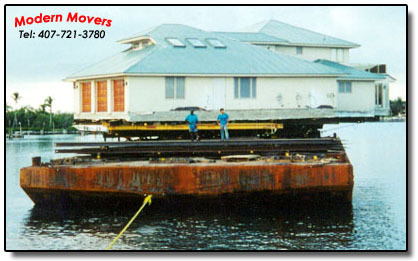 This 10 year old, 8,000 square foot home, frame on monolithic slab, measuring overall 88’ wide and 136’ long at 611 tons was moved by barge 8 miles north on the Inter-coastal Waterway to Hobe Sound for Michael and Virginia Wilson in 2000. 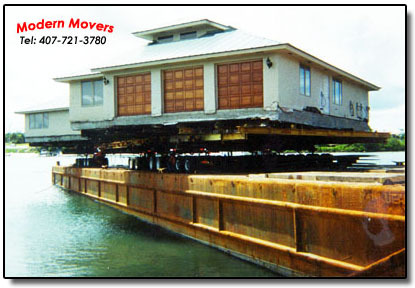 This project was joint ventured with T. A. Youngblood of Lake Monroe.